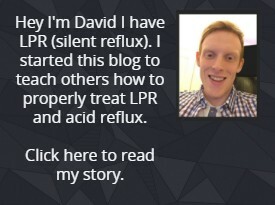 If you are someone who suffers from laryngopharyngeal reflux (LPR) you will know that it is caused by acid reflux. Of course, avoiding the obvious foods and drinks is a very important step for people to get on the right healing path, though with LPR you really need to take it an extra step. Below I will cover the important things that you should be avoiding then I will cover some other less talked about things that you should avoid along with why you may want to consider an alkaline style diet. Also, if you want more information on LPR check out my complete LPR guide here. Foods that are high in fat content are harder to digest and take longer to digest. Because the digestion process is longer that means more exposure to acid reflux. Also, because the stomach must work harder to break down the fat it also means that the stomach will move around more in the digestion process which in turn can result in more acid reflux. Foods that are processed just like fats are harder to break down and they too generally take longer to digest. Not only that but foods that are processed are typically filled with preservatives which makes the food more acidic and can cause more throat irritation and reflux. Chocolate itself is not acidic. The problem with chocolate is something that it contains. It is a substance called methylxanthine. This substance makes tissue muscles relax more in the body. The important relation here is the muscle above the stomach called the lower esophageal sphincter (LES) which can be affected by this. Methylxanthine will make the LES relax more which will stop it from closing and keeping the acid in the stomach. Not only that but because chocolate is fatty you also get the added effect of the fat as I mentioned above. You can read more about the LES’s importance in LPR here. All these vegetables can make your reflux worse. This is mostly because of their acidity. While raw onions should be avoided, eating cooked sweet onion would be fine and is a good alternative for someone who enjoys onion. As you may have already guessed citrus fruits should be avoided. In fact, I would recommend avoiding most fruits as they are generally too acidic. A few exceptions are bananas, melons, pears and papaya. Of course, most of these drinks are highly acidic and they can induce the reflux in the first place and can further irritate the throat directly. As for drinks with caffeine like coffee they should be avoided. This is because the caffeine can weaken the LES just like I mentioned in the section about chocolate. It can also irritate the throat and esophagus. Anything with vinegar I would highly recommend you avoid. The problem with vinegar is that not only is it acidic but when it passes over you throat it will irritate your throat even more. There is a reason why people use vinegar for some cleaning purposes and you effectively get this effect on your throat which you really want to avoid. Dressings, sauces and condiments generally should be avoided. This is because a lot of sauces contain things like vinegar or are made from a base of tomatoes which will further worsen your symptoms. When I say spices there are a lot of spices that should be avoided, though there are some exceptions which you can enjoy. Some of these spices that you can use are – ginger, cumin, fennel and coriander seeds. 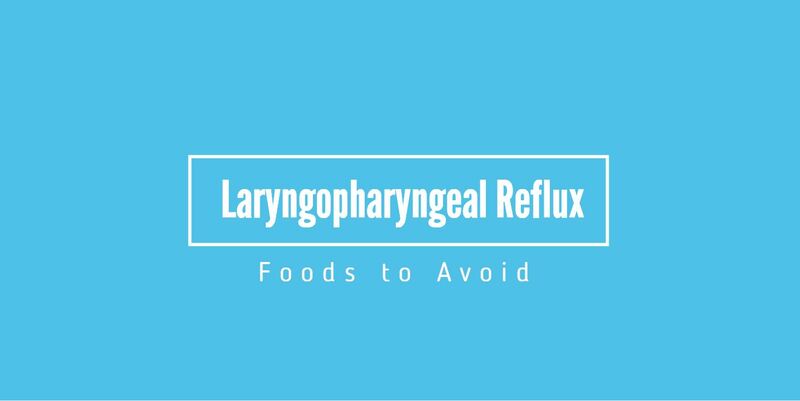 If you have LPR and want to go that extra mile I would suggest following an alkaline diet it is the best laryngopharyngeal reflux diet out there. For me to fully explain the benefit of an alkaline diet I have to explain about a thing called pepsin. Pepsin is a digestive enzyme which is produced in the stomach and is used to help digest proteins. When you reflux acid the pepsin also comes up with it. The problem for someone with LPR is once the pepsin gets in the throat it causes inflammation and irritation. The thing with pepsin is based on early research it can lay dormant in the throat for 24-48 hours’ time. The problem with it being dormant is that pepsin can be reactivated by things more acidic coming in contact with it, that means if you eat/drink something that is more acidic it will reactivate the pepsin more. 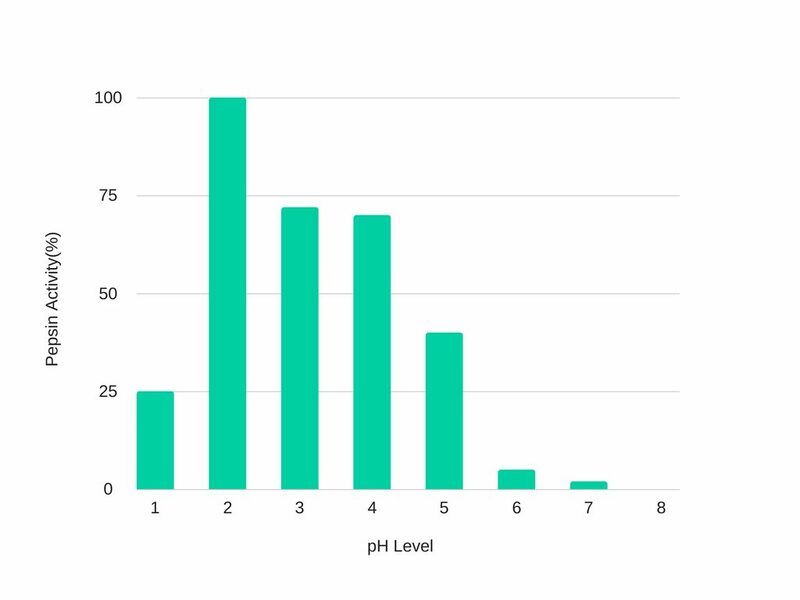 The thing worth noting is to avoid foods/drinks that have an acidity of lower than 5 pH (acidity scale). The point is if you avoid these foods/drinks with the lower pH level (higher acidity) that pepsin won’t be reactivated, and your throat can then properly heal. You can see in the chart below how the acidity effects the pepsin activity. You can read more about pepsin in my complete LPR guide. Also if you want a diet plan that matches all of these criteria I recommend you check out my Wipeout Diet Plan which has been created to help stop LPR and all its symptoms. Not only does an alkaline diet benefit this but it also means less reflux because of the much lower acid intake! Previous articleCan LPR be Caused by Anxiety? Diet is very difficult to follow for me with the elimination of my morning coffee and my social glass of wine a couple times a week with friends. I can do without chocolate and other acid forming foods, but caffeine and alcohol at my age (65) is next to impossible. May as well shoot me. LOL! I know myself as a coffee lover it is difficult but trust me that once you stop taking it not only do you feel a lot better but you also stop craving it as much if not at all over time.